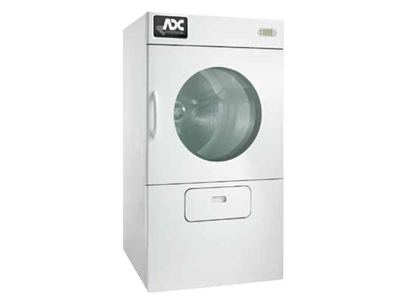 ADC’s EcoDry dryers illustrate our passion for innovative design and a constant pursuit of perfection. 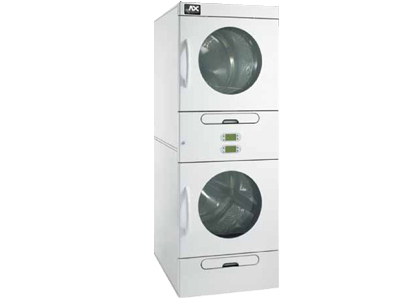 Designed with many of the standard features that have made ADC a leader in commercial and industrial dryers, the EcoDry dryer is our most energy efficient while ensuring optimum dry times and thru-put. 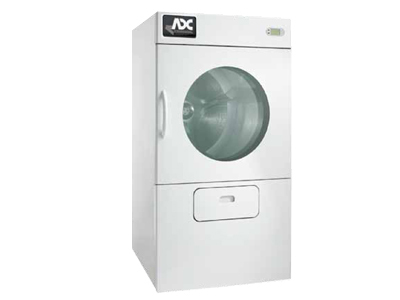 Now coin-operated laundries can go green without compromise. The EcoDry ES-35 is our most energy efficient 35-lb dryer. The unique design features 100% axial airflow, dual-paned door glass and sealed tumblers that contains the heat and pushes it through the load for maximum efficiency. Single Phase Reversing is an optional feature as well as Residual Moisture Control (Coin RMC), which measure moisture in a load and reduces the heat input while it continues to run the tumbler. The ES-35 is available in gas, electric, and steam heat. The EcoDry ES-50 is our most energy efficient 50-lb dryer. The unique design features 100% axial airflow, dual-paned door glass and sealed tumblers that contains the heat and pushes it through the load for maximum efficiency. Single Phase Reversing comes as a standard feature. Residual Moisture Control (Coin RMC), an optional feature, measures moisture in a load and reduces the heat input while it continues to run the tumbler. The ES-50 is available in gas, electric, and steam heat. The EcoDry ES-76 is our most energy efficient 75-lb dryer. The unique design features 100% axial airflow, dual-paned door glass and sealed tumblers that contains the heat and pushes it through the load for maximum efficiency. Single Phase Reversing comes as a standard feature. Residual Moisture Control (Coin RMC), an optional feature, measures moisture in a load and reduces the heat input while it continues to run the tumbler. The ES-76 is available in gas, electric, and steam heat.